Bitcoin could rise to recent highs near $4,200 in the short-term if prices validate the bullish outside reversal or “engulfing” candle created in the three days to March 16 with a convincing break above $4,040 (high of the engulfing candle). Any spike to $4,200, however, would likely be short-lived as long as the 21-week simple moving average (currently located at $4,073) is sloping downwards. A break below $3,927 (triangle low on the 4-hour chart) could yield a pullback to support lined up at $3,850. 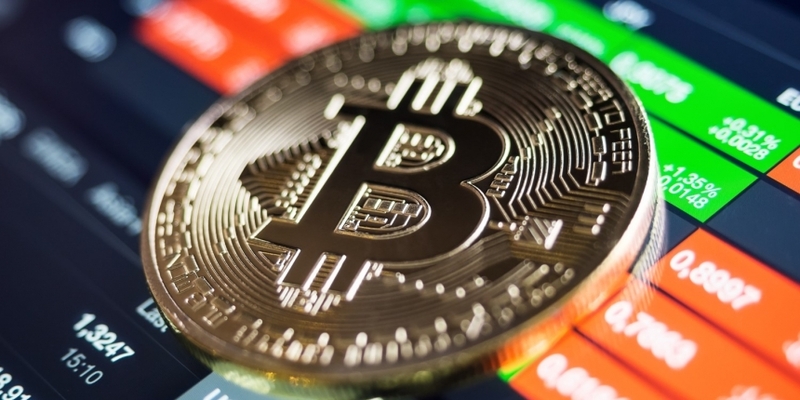 Bitcoin’s (BTC) bulls need to break key resistance at $4,040 to force a continued rally, the three-day chart indicates. The leading cryptocurrency by market value is trapped in the range of 3,920-$4,020 for the fourth consecutive day, having created a bullish outside-reversal or “engulfing” candle in the three days to March 16. A bullish engulfing candle occurs when the period begins with pessimism but ends on an optimistic note, engulfing the preceding period’s price action. While it is widely considered a bullish signal, traders usually wait for confirmation in the form of strong follow through, preferably a convincing move above the high of the engulfing candle. Put simply, a break above $4,040 – the high of the candle – is needed to validate the indicator. That would further reinforce the short-term bullish outlook put forward by the long-tailed doji candle created on Feb. 27 and allow a re-test of the recent highs near $4,200. As of writing, BTC is changing hands at $3,986 on Bitstamp, representing a 0.3 percent gain on a 24-hour basis. The small doji candle created in the last three trading days has taken the shine off the preceding bullish outside reversal candle. A convincing move above $4,040 (candle’s high) will likely invite strong buying pressure and yield a rally to the inverse head-and-shoulders neckline resistance, currently at $4,230. That possibility looks likely, as the 5- and 10-candle moving averages (MAs) are biased bullish and BTC’s price is still holding above the ascending trendline. However, any gains above the 21-week simple moving average (SMA) at $4,073 could be short-lived, as that average is still trending south, as discussed earlier this week. On the 4-hour chart, BTC is struggling to force a descending triangle breakout, which, if confirmed, would boost the prospects of prices finding acceptance above the crucial resistance at $4,040. A break below the triangle low of $3,927, however, could yield a deeper pullback to $3,850. That said, a bearish reversal would be confirmed only if the support at $3,658 (Feb. 27 low) is breached.